Oak and sweet chestnut cleft shingles. These can be ordered in a variety of sizes and are generally priced on the roof area that they are to cover. Largeish ones (16″ x 6″) might be around £2 each. Laths (for plaster restoration work) are riven to 4′ long by approx 1 1/2″ x 5/16″. 30p per foot. Framing pegs can be made to any size. Available in a variety of styles (this one is a simple pale pattern), these cleft and pegged gates beautifully compliment oak paling and other rustic fences. 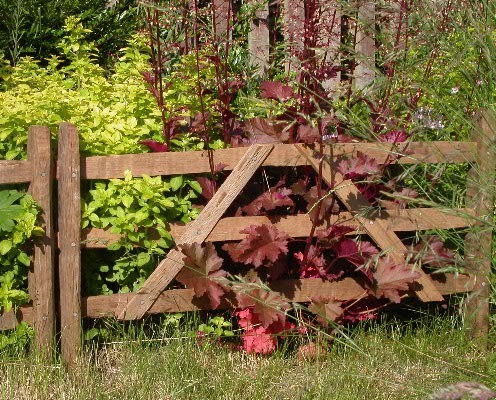 As a guide, from £120 for a gate 2’9” by 3′ high, depending on the design. 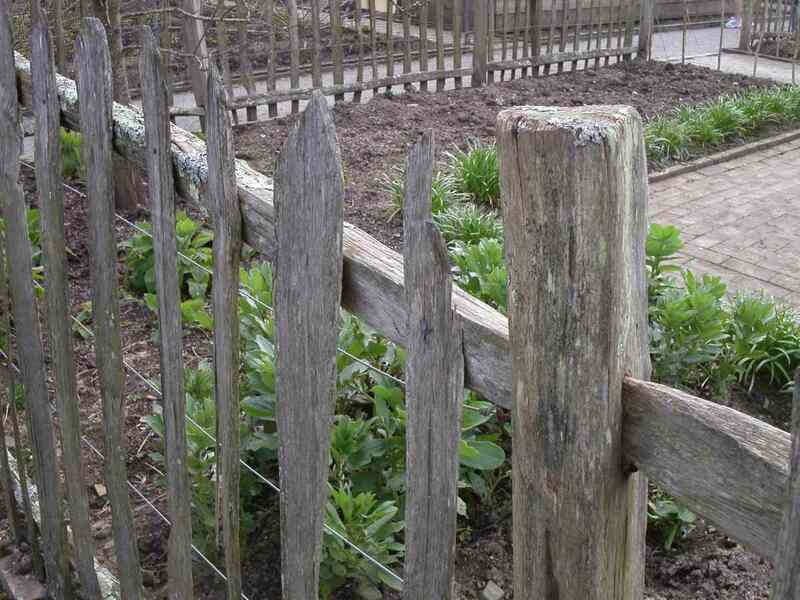 Cleft from straight-grained, knot-free oak, these robust and durable fences will age gracefully in a way that modern sawn and treated softwoods simply cannot match. The tenons are shaped with an adze to ensure a clean line and a smooth finish. A typical 30″ high paling fence would cost from £55 per yard run erected. Erection costs will vary depending on site conditions. A cheaper alternative would be to use sawn posts and rails with the same cleft palings.